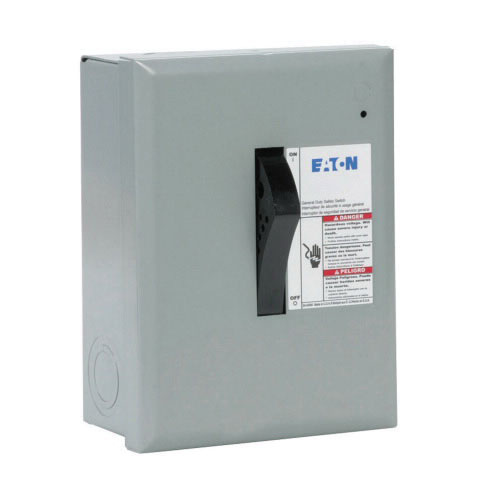 Eaton DP Model Single throw fusible safety switch has a voltage rating of 240-Volts and current rating of 30-Amps. This 1-Pole, 2-Wire switch in painted color, has steel construction for strength and durability. The general duty, plug fuse safety switch has NEMA 1 rating for protection against foreign objects. The fusible safety switch is UL listed.